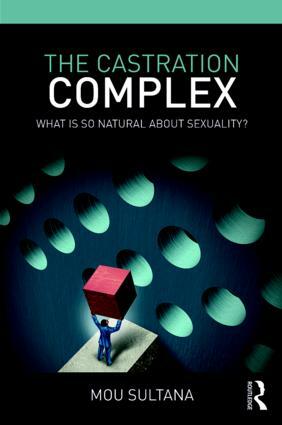 This book illustrates that the Castration Complex and the question of the distinction between the sexes are enmeshed in psychoanalytic theories. The subjective negotiation of this distinction impacts the future sexual positions taken up (or not) by the subject, indicating that human sexuality is by no means a given or a natural occurrence in psychoanalysis. Engagement with the psychoanalytic theory of castration provides the reader with a different perspective on the current society’s insistence on gradually dissolving the differences between the sexes. For Freud, castration complex is the key to understanding the psychical consequences of the anatomical distinction between the sexes. For Lacan, castration introduces the subject to his/her very existence as a sexed being. Mou Sultana illustrates how these two revolutionary theorists came to such conclusions by close reading of the core texts, interpreting them and highlighting their relevance both within and outside the clinic of modern times. "It is apt that In this era of gender fluidity, Mou Sultana has written such an accessible and theoretically illuminating psychoanalytic work on the nature of psychosexual development. Her argument that the acquisition of sexuality is a phenomenon of the subject taking up a position (or not), as opposed to the idea of the subject being given his or her sexuality by nature, biology, anatomy, or society, is persuasive and so relevant at this time. Some readers may be put off by the title Castration Complex, as if it is an outdated concept. Don’t be. This is a book for our times. I highly recommend it. "-Prof Anthony McCarthy, former president and founder member, The College of Psychiatrists of Ireland. Mou Sultana is a practising psychoanalyst in private practice in Ireland. She also works as a psychotherapist with Health Services Executives, Probation Services and the Irish Department of Justice.